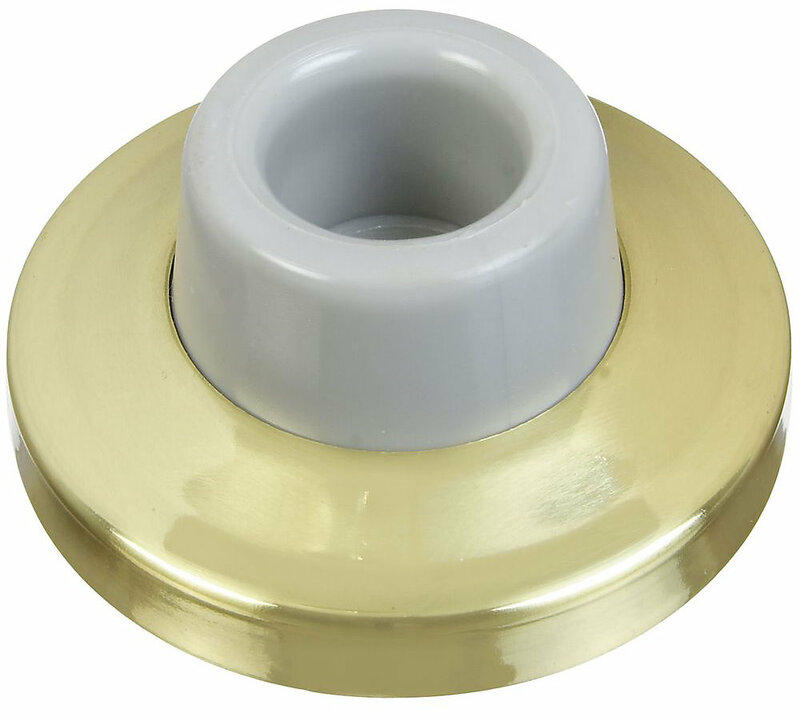 National N198-069 Wall Door Stop - Brass (V1935). Designed to protect wall and door from damage. Design avoids contact with lock button. Large base offers easy, one-screw installation. 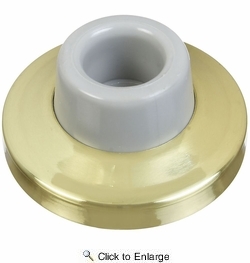 Solid brass ring, rubber bumper and plastic wall anchor.